On September 5, 1791 Robert “Councillor” Carter III – scion of one of the wealthiest slave-owning families in all of American history – filed his famous “Deed of Gift” with Virginia’s Northumberland District Court, announcing his intention to free over 450 of the slaves that toiled at 16 plantations under his care. It was the single largest act of liberation in American history prior to the Emancipation Proclamation and has been covered in Andrew Levy’s moving book The First Emancipator: Slavery, Religion, the Quiet Revolution of Robert Carter (2005). Of the many slave families whose freedom was set in motion with the Deed of Gift (which would go into effect in stages over many years) was the Burke family of Leo Plantation (later renamed Oatlands) in Loudoun County. 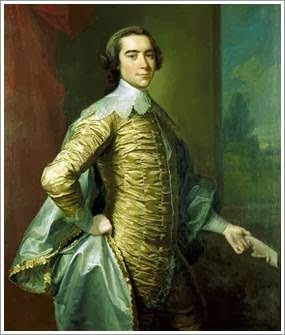 “Baptist Billy” Burke was the “most trusted emissary” of Robert Carter III and around 1795 his family was emancipated. Burke's family was living at the Bull Run Quarter of Leo Plantation, which was located in Prince William County near the present day Manassas battlefield. Burke’s great-grandson was named Nimrod Burke, who was born in Prince William County in 1836. While you may not be familiar with the name of Nimrod Burke, if you have studied African American participation in the American Civil War you have probably seen his picture before (as a member of the re-created 23rd USCT, Nimrod Burke has become the “poster child” for our living history group). Burke was one of 54 known African Americans to fight for the Union cause from Prince William County, but unlike most of his comrades-in-arms from Prince William, Burke was born a free man – thanks to the Deed of Gift. 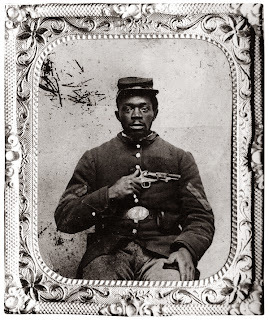 He was 25 years old when the Civil War began and, like many African American men his age, he tried to enlist and fight for the Union cause. 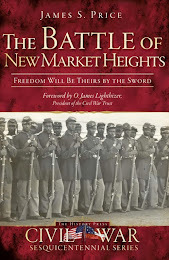 However, in 1861 the policy of the Lincoln administration was that this was to be a white man’s war only. With a direct route to military service blocked, Burke found a roundabout way to join the war effort. The man that Burke was working for in Ohio prior to the outbreak of war became an officer in the 36th Ohio. This man knew that Nimrod had been raised in Virginia and would be familiar with the country that they would soon be fighting in, so he hired Burke as a teamster and scout for the regiment before they embarked for Virginia. Burke continued to serve as an army scout until March of 1864. 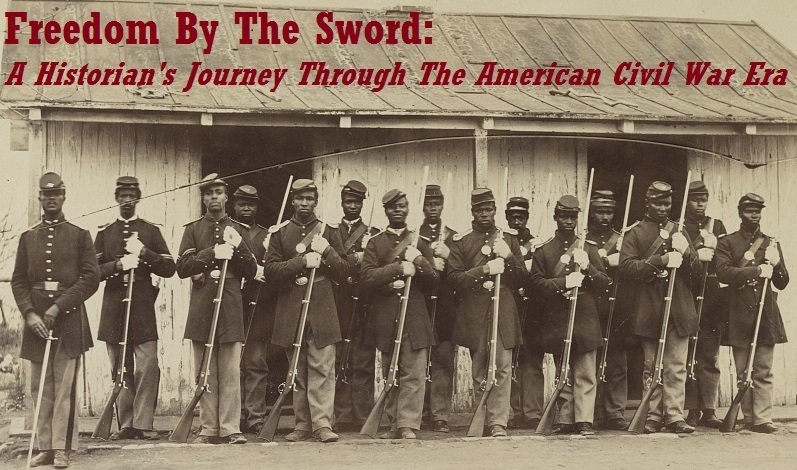 When the 36th Ohio was garrisoned close to Washington D.C., he enlisted in the 23rd United States Colored Troops and was appointed 1st Sergeant of Company F. The 23rd was organized at Camp Casey, which sat near the present day location of the Pentagon near Robert E. Lee’s beloved Arlington House. Burke returned to health and rejoined his until in October of 1864 and was at Appomattox Court House on April 9, 1865 when Lee surrendered the Army of Northern Virginia. This was particularly significant for Burke since John Carter (a Lee ancestor) had once owned members of the Burke family. He was mustered out of the service in Brazos, Texas on November 30, 1865. Burke lived for nearly 50 years after the war and died on July 15, 1914. He is buried at Greenlawn Cemetery in Chillicothe, Ohio. In a sense, Nimrod Burke continued to carry the torch of the man who once owned his forebears – and for that reason, among many others, they are both worthy of our attention.